The QR code was invented in 1994 by the Japanese firm DENSO WAVE. QR stands for ‘Quick Response’ and refers to the fast coding and decoding process. QR codes make it possible to translate data (e.g. text or a URL) into a matrix code, or a two-dimensional barcode made up of squares. With the help of a QR-reader that you can download on your smartphone, these squares can be scanned and the data they protect can be uncovered. QR codes are usually rendered in a square for maximum recognisability but in theory any form will do. We looked up some of the more unconventional examples for you. For this QR code web developer Ricardo Lopes used the fact that some of the squares in the code are redundant. 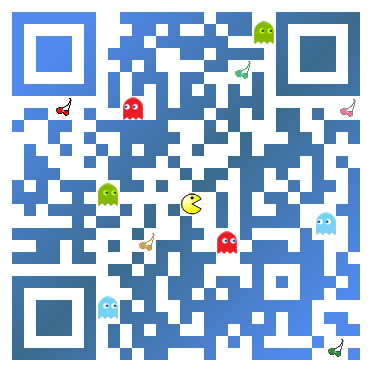 Indeed, a QR code has a built-in error margin so the data can still be read out even if, for example, part of the code is torn, if there’s too much backlight or if someone has inserted Pac-Man characters. Scan this innovative OR imaginative OR novel QR code and you end up on Ricardo’s webpage. 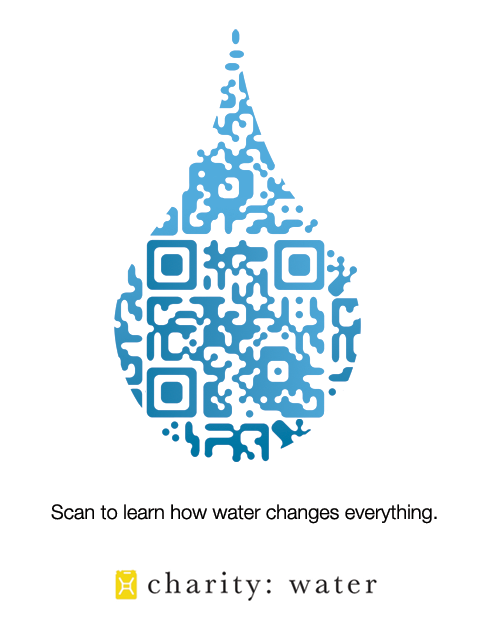 The American non-profit organisation Charity: Water integrated a QR code in a drop of water. Open the URL and you get an exposé on how to help people in the third world get access to clean drinking water. But the good thing is that although the QR code is completely merged with the rest of the drop, your smartphone has no difficulty recognising it. The link to a Facebook page is often a pretty ugly URL. Jess3, an interactive communication agency from Washington, D.C., proves a URL doesn’t have to be a dull affair. They designed this QR code in the shape of the Facebook logo. A good idea for your next ad, communication or calling card?